Confused by the tax credits offered for home buyers / home owners? 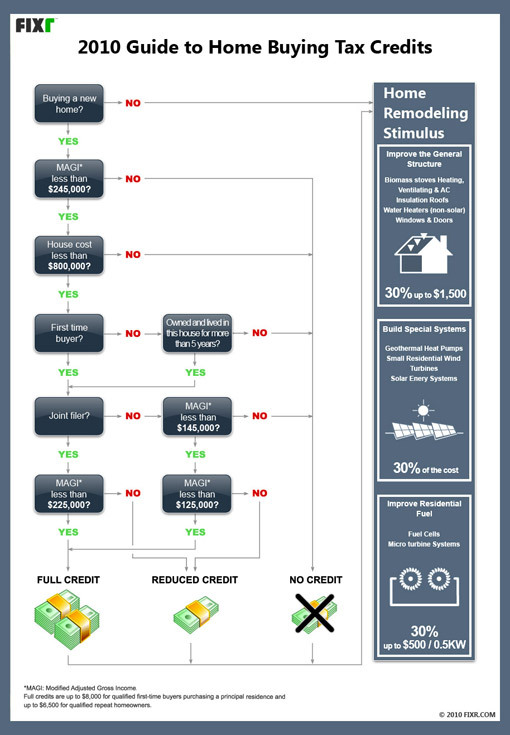 This chart from fixr.com provides the answers in an easily understood format. If you’re not familiar with fixr, it is essentially the ebay for housing contractors. Post your job and evaluate the bids and contractors.